EFFECT: This card Cannot be Normal Summoned/Set. Must be Special Summoned (from your hand) by banishing 1 DARK monster from your Graveyard, and cannot be Special Summoned by other ways. You can only Special Summon 1 "Bright-White Dragon Wyburster" per turn. If this card is sent from the field to the Graveyard: You can add 1 "Dark-Winged Dragon Collapserpent" from your Deck to your hand. 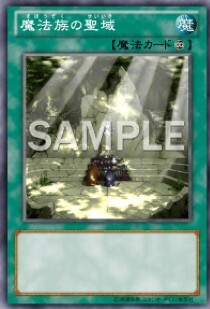 EFFECT: If this card is sent to the Graveyard: You can Special Summon 1 Dragon-Type monster from your hand, but this turn, you cannot Special Summon monsters, except Dragon-Type monsters, and you cannot conduct your Battle Phase. You can only use the effect of "Kodomo Dragon" once per turn. EFFECT: If you control no monsters and this card is in your Graveyard: You can discard 1 WATER monster; Special Summon this card from your Graveyard. At the start of your Battle Phase, if this card was Special Summoned by its effect this turn: Destroy all non-WATER monsters you control. You can only use the effect of "Fishborg Archer" once per turn. 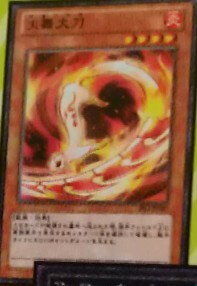 When this card is Synchro Summoned: Target 1 face-up card you control and 1 face-up card your opponent controls; return those targets to the hand, and if you do, cards with the same name as the card you controlled returned to the hand (if Spell or Trap) cannot be activated, or (if Monster) cannot activate their effects for the rest of this turn. You can only use the effect of "Beast God Vulcan" once per turn. EFFECT: When a monster, except a Spellcaster-Type monster, is Normal or Special Summoned while you control another face-up Spell Card: That monster cannot attack or activate its effect(s) this turn. If you do not control a Spellcaster-Type monster, destroy this card. EFFECT: This card Cannot be Normal Summoned/Set. 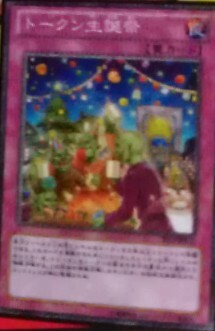 Must be Special Summoned (from your hand) by banishing 1 LIGHT monster from your Graveyard, and cannot be Special Summoned by other ways. 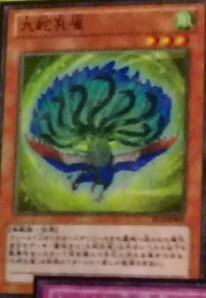 You can only Special Summon 1 "Dark-Winged Dragon Collapserpent" per turn. If this card is sent from the field to the Graveyard: You can add 1 "Bright-White Dragon Wyburster" from your Deck to your hand. EFFECT: When this card is destroyed and sent to the Graveyard: Target 1 face-up monster your opponent controls; destroy it, and if you do, inflict ??? damage to your opponent. EFFECT: If this card is Tributed and sent to the Graveyard: You can add 1 WIND monster with a ??? Level than "Kuja Peacock" from your Deck to your hand. You can only use this effect of "Kuja Peacock" once per turn. Once per turn: You can detach 1 Xyz Material from this card; this card gains 1000 ATK or DEF. During the Battle Step, when a monster you control battles: You can discard 1 card; this turn, you take no Battle Damage and monsters you control cannot be destroyed by battle. You can only use this effect of "Armor Kappa" once per Duel. EFFECT: Tribute ? Tokens of the same Level: Target a number of monsters of the same Level from your Graveyard equal to the number of Tokens Tributed; Special Summon those targets. Monsters Special Summoned by this effect have their effect(s) negated and are destroyed during the End Phase.